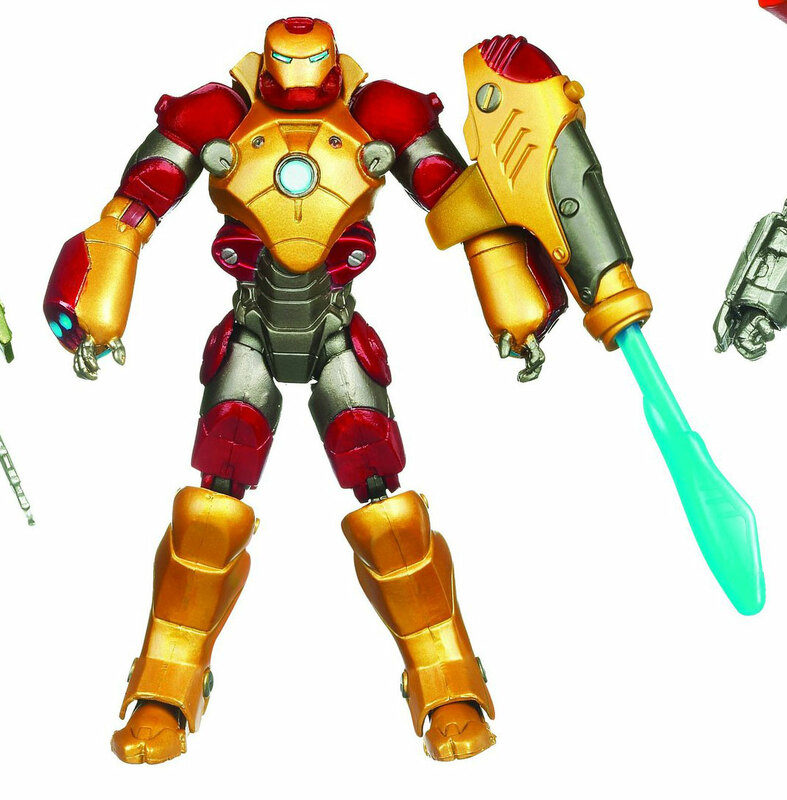 Undercover geeks has posted an image showing the 1st offerings from the 2011 Iron Man Armored Avenger lineup(3-3/4″ scale). You may remember seeing some of these images from our SDCC 2010 coverage. 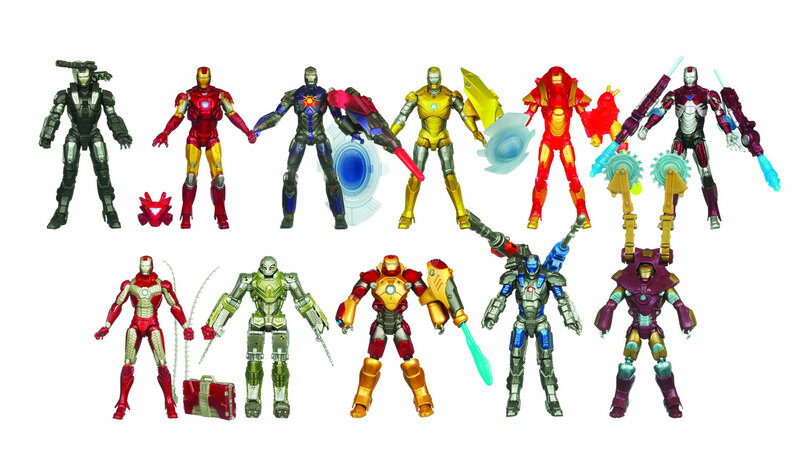 Most of the figures are repaints(some with retooled and/or new parts) of Iron Man, with War Machine and Whiplash‘s armored suit. Take a look at high res images of the figures after the jump! Discuss on the Toyark Forums› Views: 22183 › Credit: MrMunkeepants of the Toyark Forums! 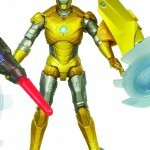 I just found the first (non-convention) images of Iron Man 2 4" 2011 Wave 1 over at www.undercovergeeks.com and thought I'd pass it along to those here who would be interested. click the link above for a much larger image! Most of these are passes but I do really like the subterrainean armor. I guessing that's the one with the sawblades... not sure if I like that or the basic Deep Dive repaint better - they're both very Iron Manly, it'll be down to actual paint apps I think. I just saw the last post about the Unmasked series (being a Target exclusive value pack). perhaps they'll be coming with this wave? I'm only getting the concept drone, since it's the final badguy from the movie. Maybe the war machine too since he has the right movie armanents. kinda cool, definitely getting the Concept will probably wait for a sale for the others. Pretty cool looking stuff, but the website is incorrect. The Iron Man 2 line of figures/toys is done. This is a continuation of it but it's called Iron Man: Armored Avenger and it's meant to go past the movie. Ah, damn it. The pegs are already filled with Iron Men; we really don't need more! And who are all these Iron Men supposed to fight? That one Whiplash dude? i'll get the light up war machine and the quick change armor in a heart beat, the drone shortly afterwards..... then i think about the rest. 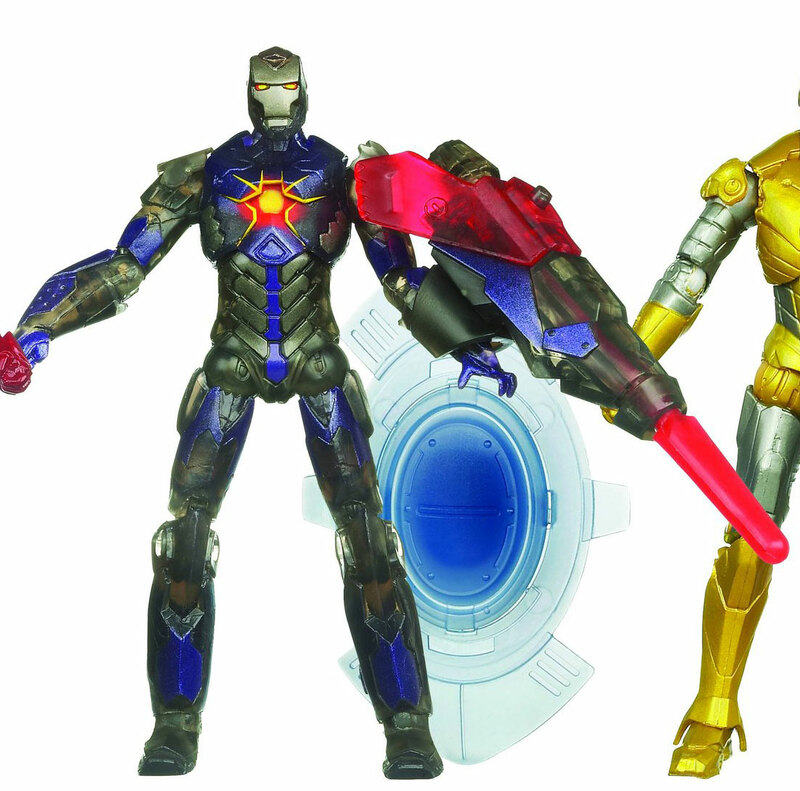 Like so many other said, this is a huge missed opportunity, even if the armors do look neat in some cases. I'd kill for a classic Ghost figure. these look like those TRU 3-packs like the Spider-Man sets. 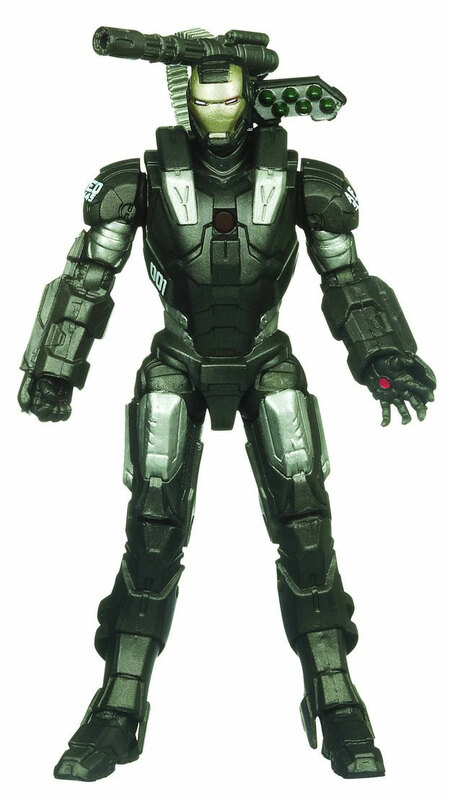 Im digging the war machine mark 2 colors might get that one but will definitely get the 001 drone/whiplash. it's not whiplash but it's close, whiplash's suit in film is quite a bit different. it's the prototype hammer suit shown when tony stark hacks the tv's in the congressional hearing scene. 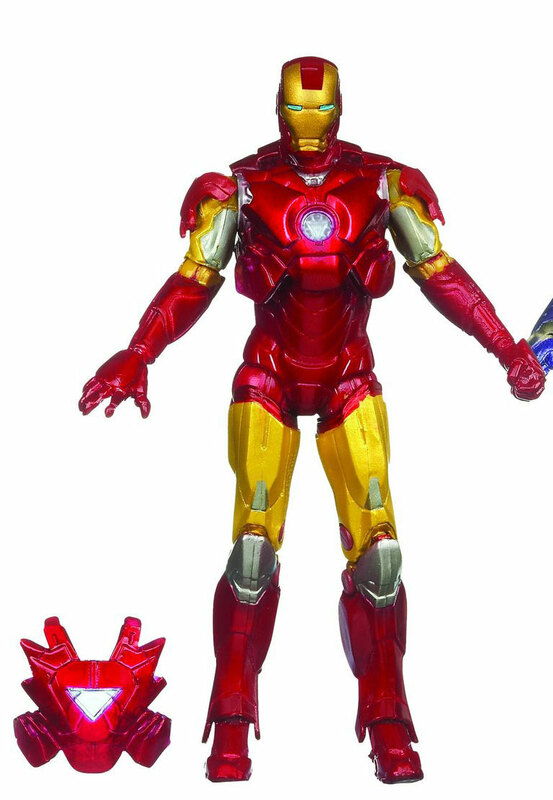 Looks like figures that will not make it to retail at a lot of places because so many retailers are still stuck with Iron Man figures that aren't moving. It just seems to be the overkill thing of too many of one character and not enough variety to keep it interesting. I like Iron Man and I like Spiderman, but I just don't feel any need for 20 Iron Man figures and 20 Spiderman figures when Marvel has so many interesting characters. Plus the lack of villains is really taking the fun out of these Marvel lines. 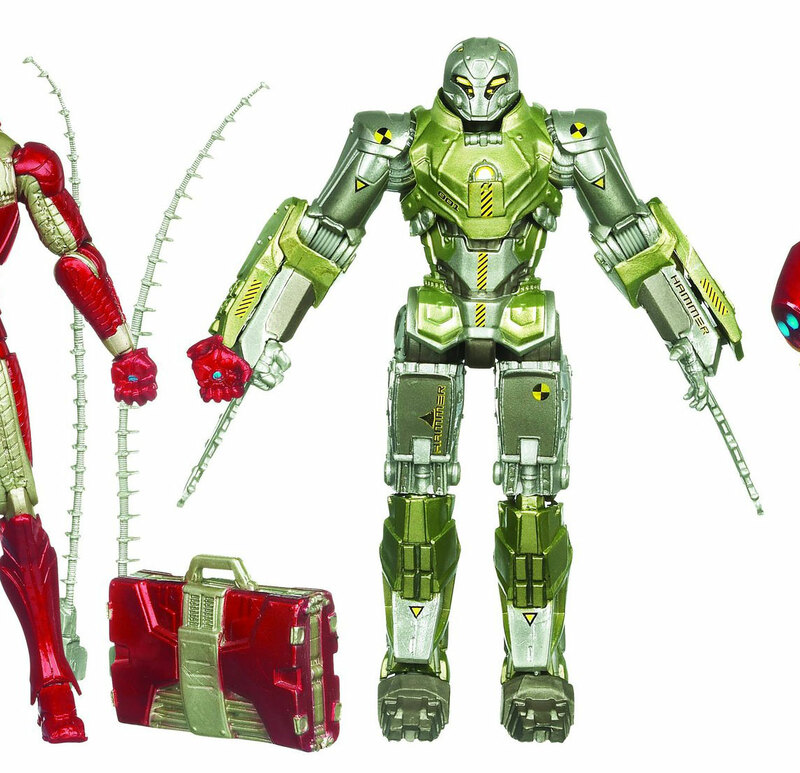 the reason there's so many iron man versions is cause that's what the character is about remember his "hall of armor" the character has a suit for every scenario that's what makes it so cool. true its the prototype drone but its the closest we have to whiplash so far. I have hope that will see the final battle armor still. Not a bad selection. 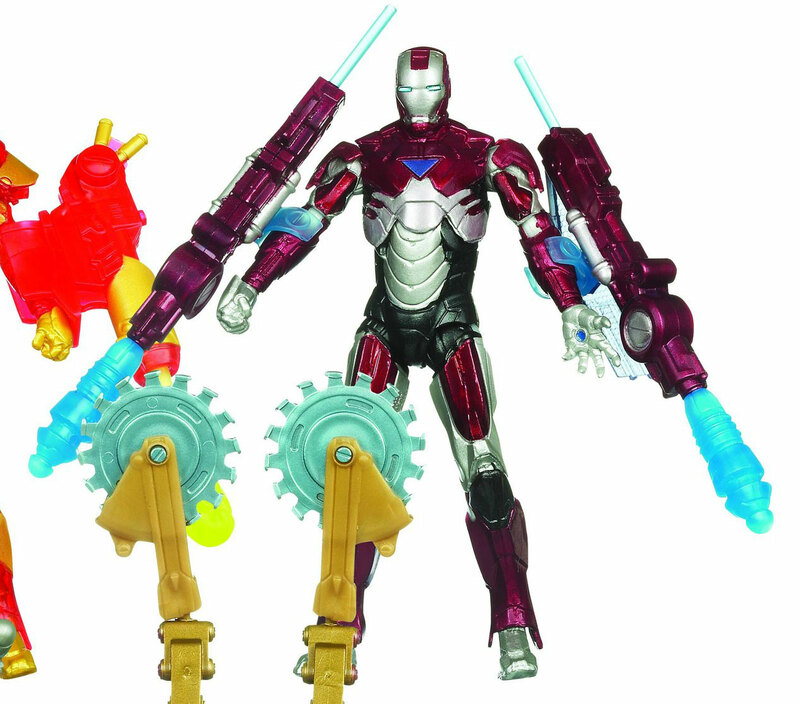 Hypervelocity Iron Man looks pretty cool. The HAMMER concept drone is nice, but I'm still hoping they give us the Whiplash Mk.II armor. I'm honestly surprised it hasn't happened yet. 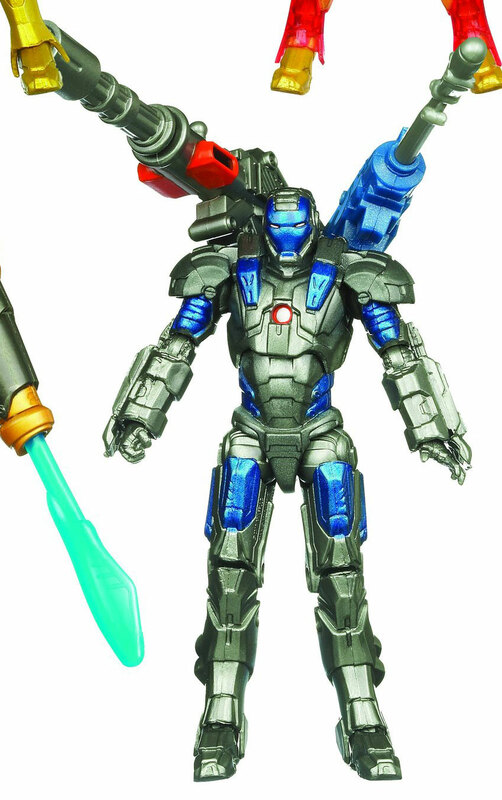 I think the ppl have spoken, the clear stand out is that movie aka walmart exclusive looking War Machine. 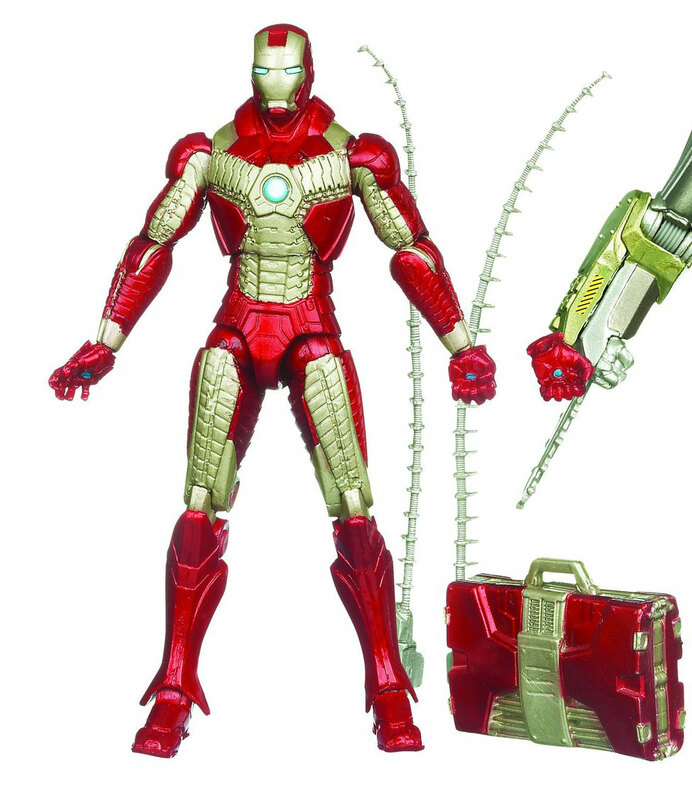 The drone concept is a nice add on for army builders and sculpt/paint looks justify-able.. but the rest look like repaints with the odd exception... the quick change.. but it's not as nice looking as the iron man 1 6'' quick change.. what we need is a 3 3/4 tony stark in suit that has clip over boots,legs,arms,chest and 2 piece helmet or 3 piece! I'd pay $15-20 for 1.. that had a removeable jacket that had pieces that fully snapped over and hey maybe even put them in a case or 2..
Lots of straight passes, only stuff I like the look of is MKV and Concept Drone. Slight concern is the amount of just pure Iron Man in that wave, the reason the movie line clogged so bad was the lack of bad guys. The Hammer Drones should have been single carded so kids could recreate the movie. Hopefully this wave doesn`t peg warm and screw up future stuff. I have all the iron man figures in the comic and movie series, even Mandarin and Whiplash but no Black Widow and actor heads Iron Man and War Machine . 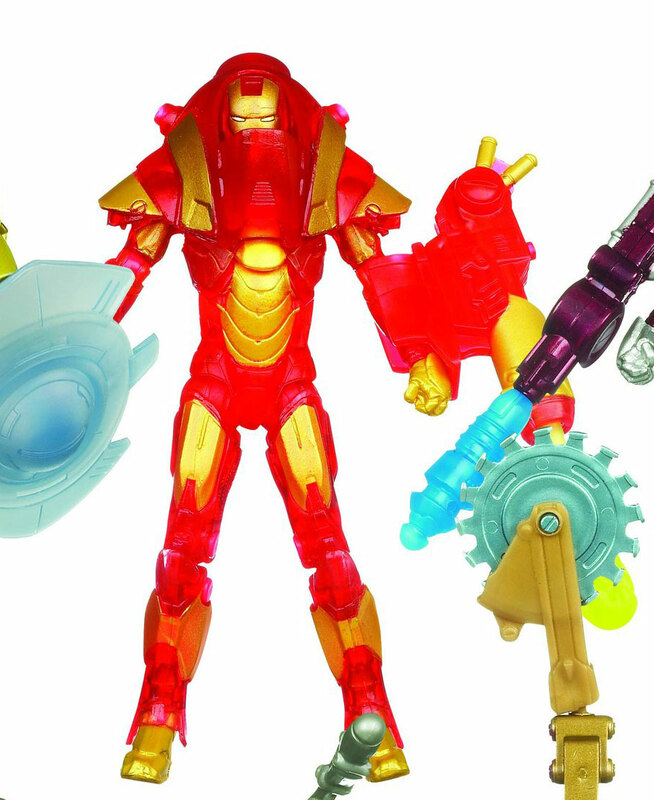 I didn't mess with the concept series, I don't get it Iron Man has enough armor already I like the stuff based off real comics but the concept stuff was just unnecessary, when they could of sold the drones I would of picked up a Pepper Potts and Happy Hogan Figure, or even a Justin Hammer. Are they ever gonna release the Target Actor 3 pack? Still no sign of comic Whiplash, Mandarin, or modern WM in these parts. 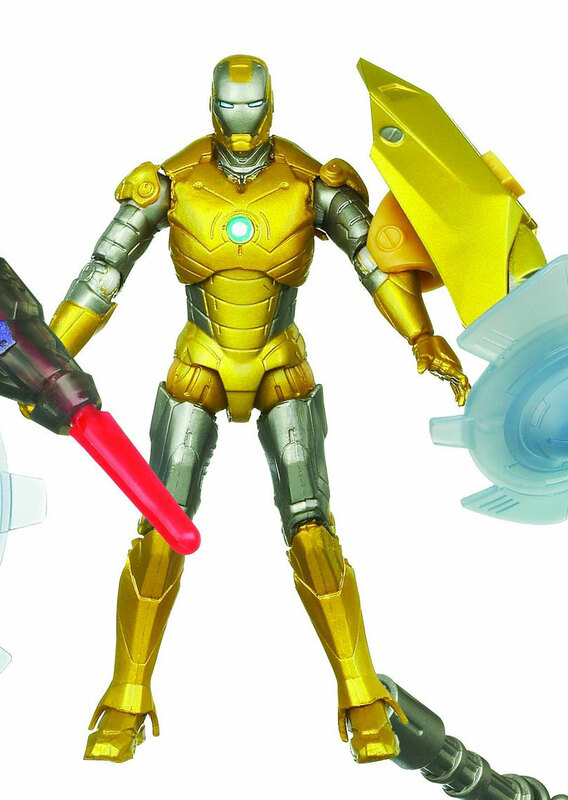 Beginning to wonder if that wave will fall thru the cracks as the IM2 line becomes IM: Armored Avenger.